Shaun is the Director of Coaching for NGS and is an accomplished coach holding a number of high level coaching licenses. Shaun graduated from the University of Ulster in his native Northern Ireland with a BSc Sports Coaching and Development Degree after having played soccer at various levels including club, high school and college. Before moving to the USA in 2009 Shaun worked for the Irish Football Association coaching in schools, communities and at club level. 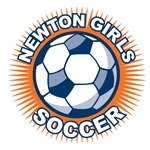 Prior to joining Newton Girls Soccer, Shaun was formerly the Academy Director and South East Regional Director at PTUSA a professional soccer coaching organization on the South Shore, MA and was head coach of several girl’s and boy’s teams within this club. Shaun’s role as Director of Coaching includes all Player Development and Coach Education programs. Playing soccer and sport in general offers children more than just physical benefits. Sports typically help kids academically and socially as well. When it comes to soccer at NGS my goal is to create a FUN, positive learning environment which helps maximizes player development. I aim to develop skilled, confident and creative soccer players teaching them all aspects of the game which center around the four pillars of players development (Technical, Tactical, Physical & Psychological skills). On a daily basis I am constantly evolving and adding knowledge to my coaching philosophy. My own training ideas are based from around the world and center on the continental European possession and attacking style of play. I am a firm believer that the game itself is the best teacher and strive to make soccer fun to both practice and play whilst teaching good sportsmanship and respect for all.